So first off, I need to preface this whole thing by confessing that this write-up for both events is more than overdue. I could say that I’ve been letting my stomach and liver settle from last weekend’s festivities, but that’s not true...not entirely, anyway. There’s already a lot of reviews of last week’s Cooper-Young Regional Beer Fest out there (all overwhelmingly positive, by the way....and you can go ahead and count this as another one). As you probably already know, the C-Y beer fest stands apart from others in that it exclusively features local and regional breweries (within a day’s drive)—which, in this part of the country, means it’s relatively small. And that’s by no means a bad thing...something to work on, perhaps, but certainly not bad. Breweries present included our very own Ghost River, Boscos, the Bluff City Brewers and the homebrewing gents from fuzzybrew.com to those hailing from as far away as Asheville, NC (French Broad, Asheville Brewing Company, and Green Man), as well as Louisiana (the very impressive Bayou Tech). The theme of this year's Southern Foodways Symposium is the "Cultivated South." As usual, this annual syposium, hosted by the University of Mississippi's Southern Foodways Alliance (SFA), is sold out. But those still wishing for a little culture can attend Sunday's free performance of Leaves of Greens, an opera revolving around collard greens. 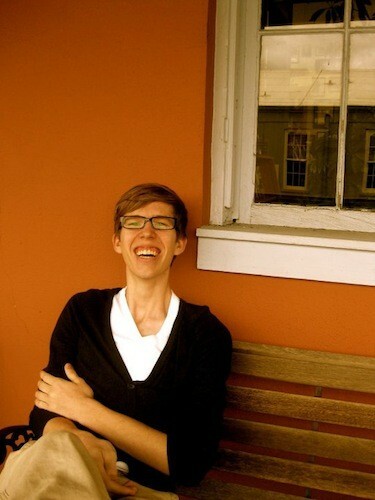 The opera, based on Leaves of Greens: The Collard Poems, was commissioned by SFA and written by Price Walden, a 20-year-old junior music major at Ole Miss. Walden took some time to answer questions about Leaves of Greens. 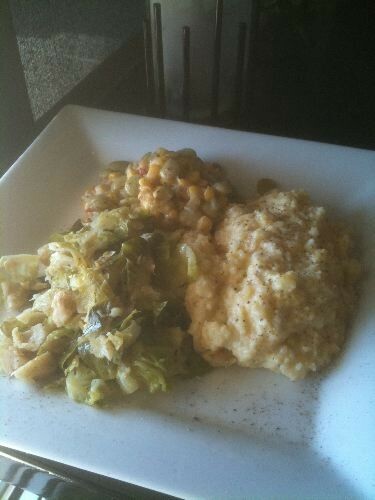 There's much more to Southern food than greens. Why not Moon Pies or biscuits and gravy? Well, the short answer to this question is that they told me to write about collard greens, but there are many good reasons. To me, Moon Pies or biscuits and gravy can't come close to the history and symbolism we find in the collard green. What makes collard greens even more interesting is that they aren't universally beloved. For every person out there who loves them, there's another person out there who can't even stand the smell, but they instantly conjure up many images and memories for us Southerners. The daily lunchtime tweets from @interimmemphis convinced me that I needed to get myself over there, and today I finally did. It's one of my favorite lunch restaurants; I eat there at least once a week. It's also my restaurant of choice to go to alone and hide out and read (those days I'd sooner kill someone than have to talk to them). I always eat in the bar area and I love the cobb salad. Hamburger is out of this world too. About a week ago I was cutting a loaf of hard-crusted bread. The knife got stuck. I yanked. 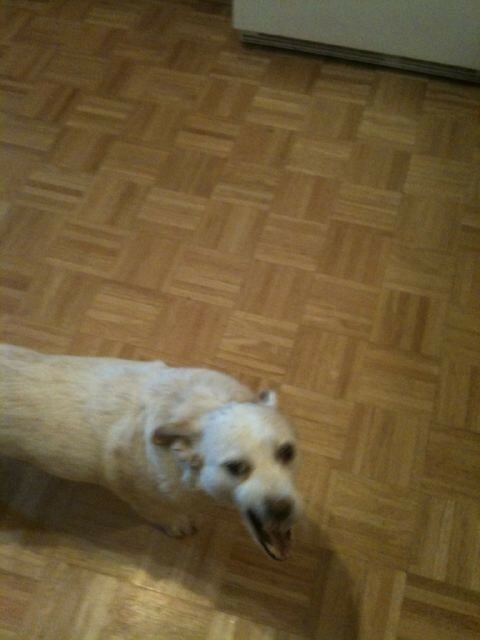 Knife flew out of my hand and onto my dog Violet's head. No harm done beyond the serious scare for both of us. 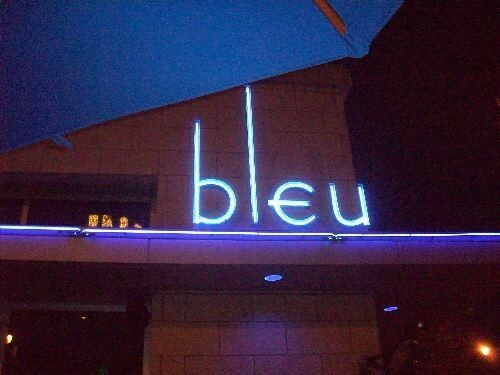 After weeks of teasers about something "neu," the mystery restaurant was revealed at a media event Thursday night. The name of the restaurant — located in the former site of Sole at the downtown Westin — came with a dramatic unveiling of the building's sign. For those of you who missed the first post with Andy, he’s one of the founders/organizers of the Cooper Young Regional Beer Fest. Last week, we talked a bit about the condition of the local beer scene over a couple pints of the now award-winning Ghost River Copperhead Red. How do you see Memphis in terms of beer enthusiasm/advocacy...that sort of thing? I think Memphis is an untapped market. There’s plenty of room for a craft brewery to set up here, but we’re not like a big city like New York or L.A. where you just run a bunch of advertisements. We’ve got a small town feel...everybody knows everybody. So you really need that in-person presence. This is kind of like the frontier for beer. Like most things, trends begin at the coasts and make their way in, and [craft beer has] only recently begun hitting Memphis. What will it take to continue that growth? Hopefully someone will realize there’s enough room for another brewery or brewpub in Memphis. And we’ve been getting more beer-oriented bars opening. Once people can see that we can have two breweries, who knows where it’ll go. Take Nashville. Ten years ago, they may have only had Blackstone, now they’re scene is blowing up. I think people going over to Nashville bring that [enthusiasm] back [to Memphis]. I wish people cared about craft beer the way they do about college football teams. When I used to work at the [Flying] Saucer, I’d get people coming up to me to order a Budweiser or Bud Light, and I’m like, ‘Look, man, I’ve got 75 beers on tap and 125 different bottled beers behind me. You want to try something different?’ and they would just look at you so strangely. I think the thing is if you’re, say, an Ole’ Miss guy, why wouldn’t you drink Lazy Magnolia, which is brewed in Kiln, MS? It just seems natural to me [to try local beer], instead of drinking the same thing all of the time. You can break the craft beer scene down to the regional level. Do you try to convert folks to craft beer? You can’t come at people from a “you’re wrong, I’m right” kind of angle. I typically argue that, yeah, I really enjoy a good hamburger, but I also want to have a steak from time to time. Vary your life up a little bit.There’s more to life than light domestics. I started this post on The Pie Folks location in Germantown a little more than a month ago. I called to get some info only to hear an answering machine message that the store was closed due to a burst water pipe. According to owner Audrey Anderson, the damage was extensive. The Pie Folks reopened last Thursday. 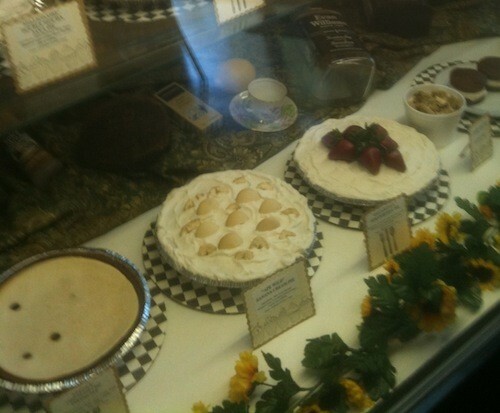 Folks offers up some 20 types of pies, as well as cupcakes, cookies, and whoopie pies. 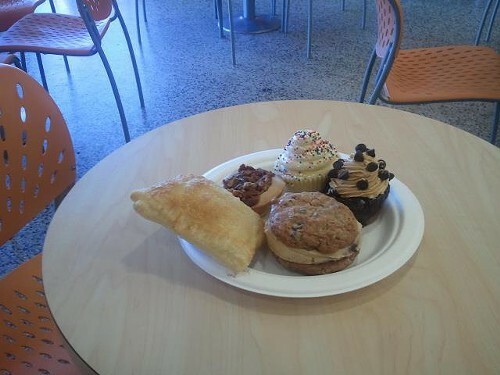 They also have a small lunch menu with four types of soup and chicken or tuna salad sandwiches. We checked out Rizzo's Diner shortly after it opened. This upscale diner is in the former Harry's site, and I didn't notice any dramatic changes to the interior. 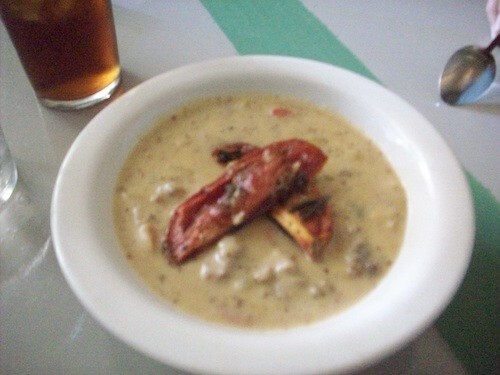 Greg ordered the Cheese Burger Soup ($3 a cup), which chef/owner Michael Patrick describes on Rizzo's smallish menu as a childhood favorite and "Memphis, my gift to you." 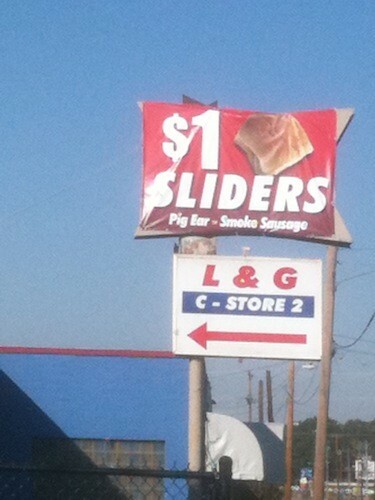 And only $1 at L&G at Jackson and N. Watkins. 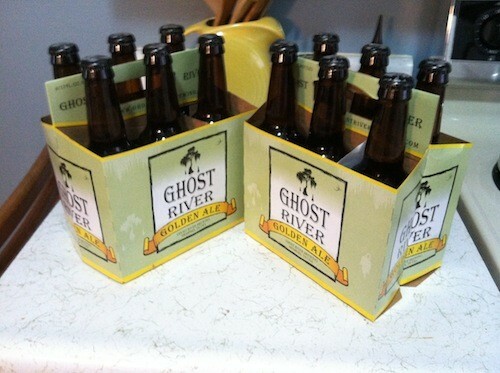 You can now get Ghost River Golden Ale in a bottle. They began selling them yesterday — $7/six pack or $24/case for short fills — from their dock at 827 S. Main. Distribution is expected to begin next week. In other news Boscos Squared is hosting an Oktoberfest Brewmaster's Dinner on Tuesday, October 18th. Earlier this week, I had the pleasure of sitting down with Andy Ashby, one of the founders and organizers of the Cooper-Young Regional Beerfest, to talk about the history of the festival and what we can expect this year. The Cooper-Young Regional Beerfest will be held this Saturday, October 15th, from 1-5 p.m., in the parking lot of Life Link Memphis. 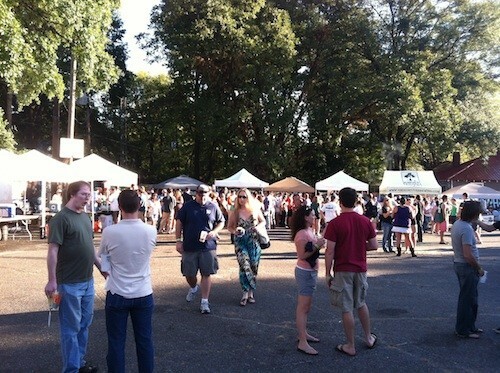 Where’d the idea of the CY Regional Beerfest come from? I’m on the board of the Cooper Young Community Association, and a lot of the board members are also really into beer...I was thinking we needed another fund-raiser, and we were all like, ‘wouldn’t it be cool to do a beer festival?’ We’re all friends and we’re all into beer, so it didn’t even really feel like a lot of work. 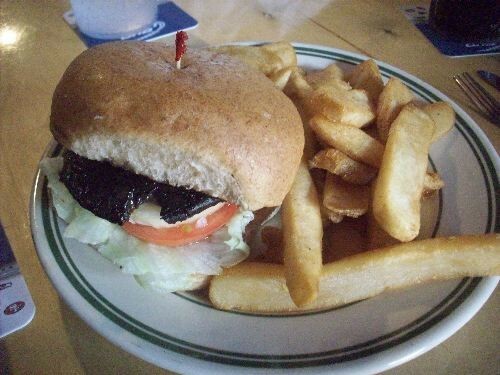 A coworker mentioned that the Green Beetle had recently added a portobello burger to its menu. "Added" is relative here. The veg-friendly burger is not printed on the menu, and the first time I ordered one, the Beetle was out, the second time the waitress wasn't positive they served them. A couple weeks ago, two coworkers and I went to the newly opened Stone Soup Cafe in Cooper-Young. We arrived around 12:30 p.m. Every seat was taken and there was a small group waiting. The hostess explained the restaurant was just written up and featured on TV that day. Greg had been the week prior and had gotten the namesake Stone Soup ($5.89 cup) and ordered it again. 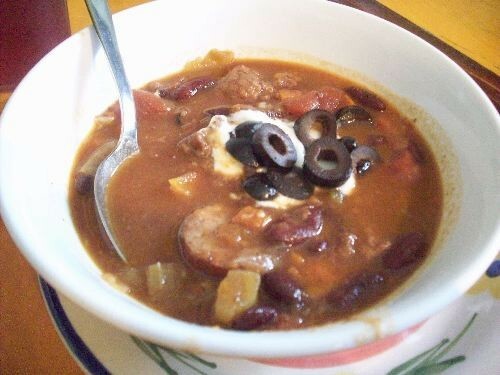 This terrific-smelling dish is meaty enough to serve as a meal. 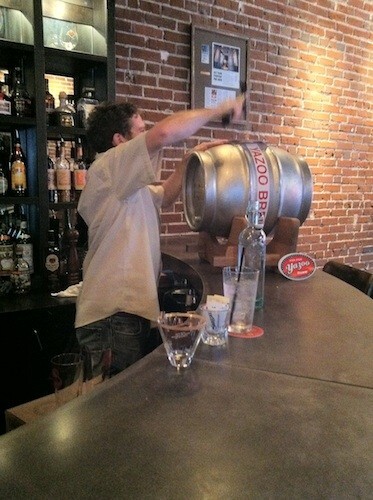 Last Wednesday, Local Gastropub hosted Ivan Chester of Nashville’s Yazoo Brewing Company and a cask of Yazoo Onward Stout infused with vanilla beans. For those of you who aren’t familiar with Yazoo, they’re a great little brewery that opened in 2003 (and had their 8th birthday last Saturday). Unless I’m mistaken, Yazoo doesn’t bottle Onward Stout, and it doesn’t seem to make its way to Memphis too often, so this was definitely a treat. A sampling of YoLo Bakes items, including a nutella and banana "poptart"
YoLo Bakes at the YoLo Midtown store came about quickly, says owner Taylor Berger. After Ladybugg Bakery was offered a new space in Hernando, they decided to take over the bakery case in the store. YoLo Bakes launched last Saturday.